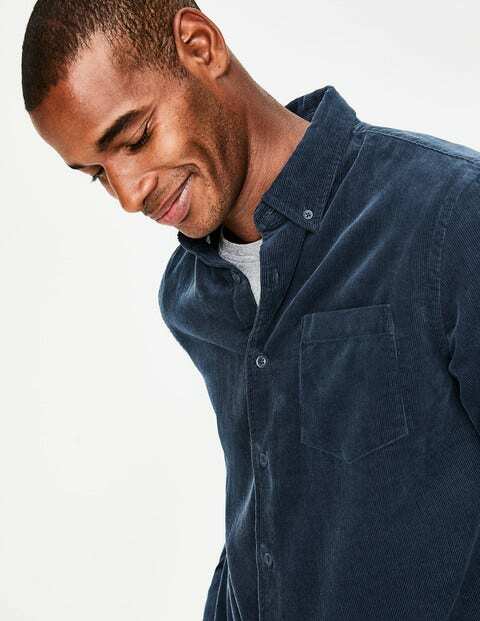 Our casual woven shirt has all the ingredients of a well-loved favourite. It's made from fine cotton corduroy with a soft-yet-textured feel, and crafted into a regular fit for easy everyday wear. The two-button cuff and button-down collar create a neat and sophisticated look that's finished with a chest pocket. Layer over a T-shirt or wear as a durable overshirt on chilly days.